This is Day 3 of the Do Over 10 Day Challenge. My challenge is to write here for 10 minutes each day for 10 days. But my real challenge within this challenge is to write without over-thinking it. To let the words flow without editing as I type. Yesterday I remembered a God friend of mine telling me about this woman who will post a writing prompt, inviting others to join her in free writing for five minutes. When the five minutes are up you type STOP and do exactly that. Deep breath…whew. I’ll admit I’m a tad bit nervous about this. What if my words come out all wrong? You know, they sound really good in my head but don’t quite make it to the screen the way I had envisioned. Every Thursday a one-word prompt will be announced on the Five Minute Fridays blog at 10pm EST (and the blogging continues through Friday). Before the prompt is revealed many in the Five Minute Friday community like to connect on Thursday evenings on Twitter using the #fmfparty hashtag. I missed out on yesterday’s gathering, but look forward to chatting with the ladies next week. Everyone who participates in Five Minute Friday will write for five minutes on the topic of the week, post it on their own blog and link up that post on the Five Minute Fridays blog using the InLinkz button at the bottom of the prompt post. 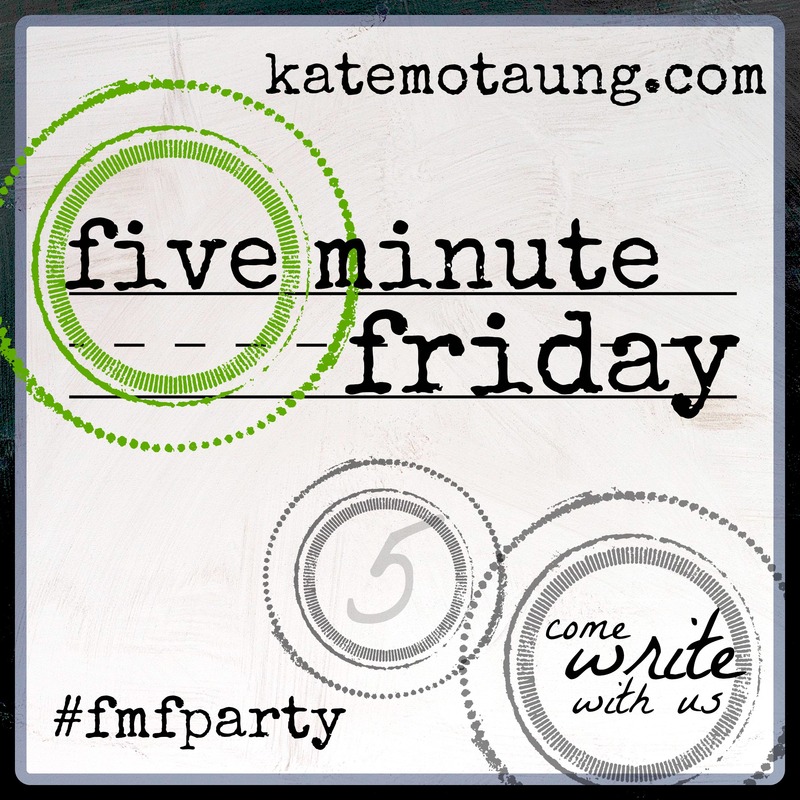 If you want to get in on the fun but don’t have a blog, you’re welcome to post your five minutes of writing in the comments here each week, the comments section of the FMF blog, or on the Five Minute Friday Facebook page. This is meant to be a free write, which means: no editing, no over-thinking (my inner editor is cringing), no worrying about perfect grammar or punctuation. Whether you come in the front door, the backdoor, or through the garage, you’ll be greeted by the sound of a seven year old playing with his twin baby brothers. You’ll find me trying to tidy up, more for my sanity than to impress you. Don’t get me wrong, I’d love to dazzle you with my multitasking abilities, but I’m fresh out. But I have clean glasses and four different types of milk if you’re thirsty. The kitchen table offers a beautiful view of what we jokingly call the park in our backyard And once you tire of the wooden chairs, you are welcome to get comfortable in the living room. But you may want to reconsider sitting on the couches if you have anything important to do today. They are sirens. No, really, you won’t want to get up. Don’t say I didn’t warn you. Although the twins have more toys than any ten month olds should have, you will most certainly be their favorite diversion. Once they have thoroughly inspected you and you’ve passed their “stranger danger” screening, of course. So this is my home. This is my life. 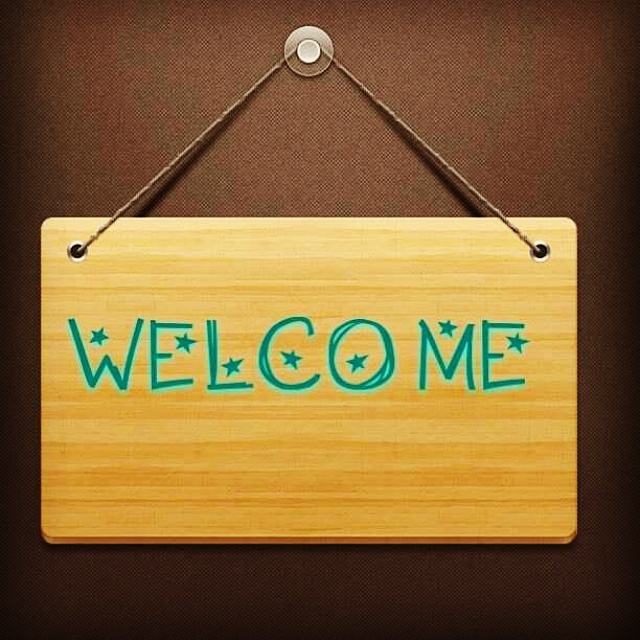 You are welcome to come over any time. No, really, I’d love the grown up company. Because trying to take the Floyd Boys out and about is a little too much work. So if you don’t mind the noise that only a seven year old boy and his twin brothers can create, come on over. STOP. This description you share of your life is inviting. Not too fussy or full, but enough to make me smile because it reminds of the days when my kids were small. The longing for importance, but reality that this is life – for now. Keep enjoying and embracing your life, your kids, your family, God. When parents of older children told me to enjoy these days because they go by fast, I knew what they were telling me was true even though there were days I loathed the messiness and lack of prestige. Your juxtaposition of what you wish could offer with what you have to offer is beautiful. Your unashamed acceptance of your life is a blessing to you and your family. Thanks for sharing! I am fully embracing this season and loving every minute of it. People ask me all the time if I’m getting enough sleep. I remember when my seven year old was their age, and he’s seven now! So I tell them that I know this season will pass quickly and they won’t be this dependent or needy so I’m soaking it up. Blessings are much appreciated! Thank you for welcoming us into your home. I really felt like I was sinking into your cozy couch, and my five year old daughter, three year old son and two year old daughter would love playing with your seven year old son, and your twins.I really enjoyed reading this post. Jolene, I call those couches seductresses. I have friends who sit on the floor just to avoid getting “stuck” on the couch! 5, 3, and 2? They must keep you on your toes! I wish I could literally come over! Your house sounds welcoming precisely because it sounds so normal and chill. 🙂 I’m glad you decided to give the Five Minute Friday thing a try. I’ve been doing it for over a year now (not every week), and it is always fun and encouraging. If you’re ever driving through Columbia, be sure to stop by! I’d say our house is very normal and chill. That’s really the only way to enjoy life with three boys 😉 I’m really glad that I gave FMF a try too! I’m looking forward to joining in the Thursday night Twitter chats. I wish I could literally come over! Your house sounds fun and welcoming precisely because it sounds so normal and relatable. 🙂 I’m glad you decided to give the Five Minute Friday thing a try. I’ve been doing it for about a year now, and it’s always so encouraging and fun. Great job! 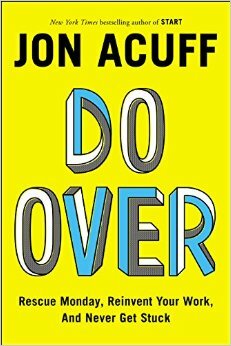 I’m both a #DoOverBook friend (are you on the 30 Days of Hustle group?) and a FMF friend. Keep plugging away at your Do Over! Thanks! Yes, I’m a #Hustler 🙂 I think the FMF will help me get over my paralysis due to over analysis issue.